It’s the most simple and comfortable way to get to the island. 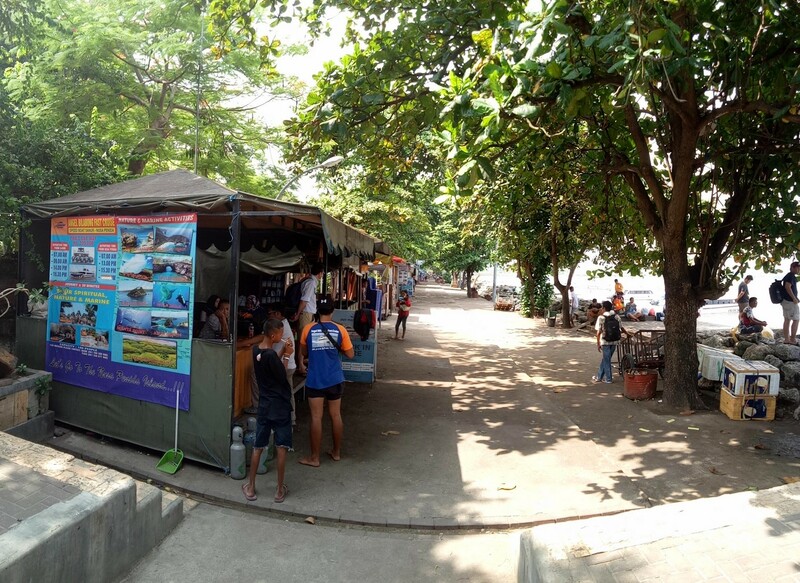 When you arrive to port Sanur the first thing you need to do is to find a berth Sanur Beach which is the place of departure for boats to Nusa Lembongan and Nusa Penida. You just pass by the intermediary office situated on the left on the corner of the street and go straight forward. Of course you can buy tickets in this office but they will be more expensive. Then turn to the left and just go along the beach. You will see different ticket spots. During weekends and holidays there are a lot of tourists so all the tickets can be sold. That’s why it’s better for you to book tickets in advance or early arrive to the port. 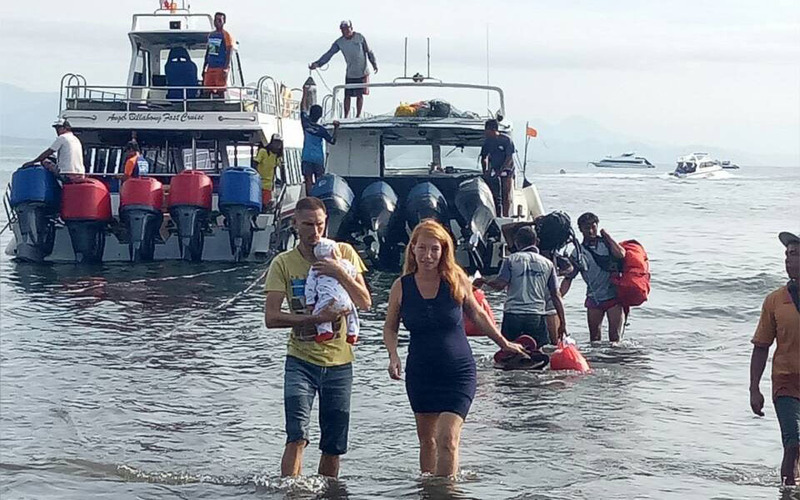 Unfortunately there are no piers at Sanur Beach and you will get into the boat from the water. Make sure you wear something short and you shoes are comfortable. S'gening is a new fast boat company exclusively servicing Nusa Pendia from Bali Sanur harbour. This is one of the low-cost companies. 30-40 minutes and you are on the island.Recently, this company is in demand and is gaining popularity. Departure from Sanur at 07:00, 07:30, 09:00, 14:00, 16:30. Departure from Nusa Penida at 07:00, 07:30, 13:00, 15:30, 16:30. Departure from Nusa Penida at 07:30, 09:30, 15:00. 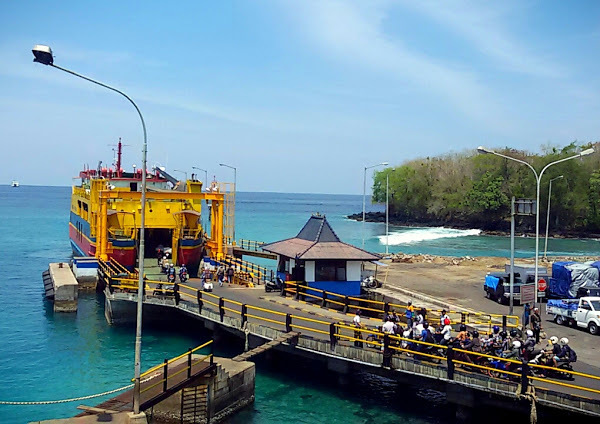 If you planning to arrive with your motorcycle, you should take the Public Ferry from Padang Bay. It is the most economical option in the big ferry. The ferry should officialy leave at 10, but its every day different, you can left Padang bai at 12:30, or at 1pm... and few weeks ago waited until 4pm... so the best way is to go there at 9am to buy tickets and ask about the time of departure, they should already know in the morning at what time it will leave. Price for 1 person is Rp 31 000.
then you better go through the villages "Kusamba" or "Tribuana". 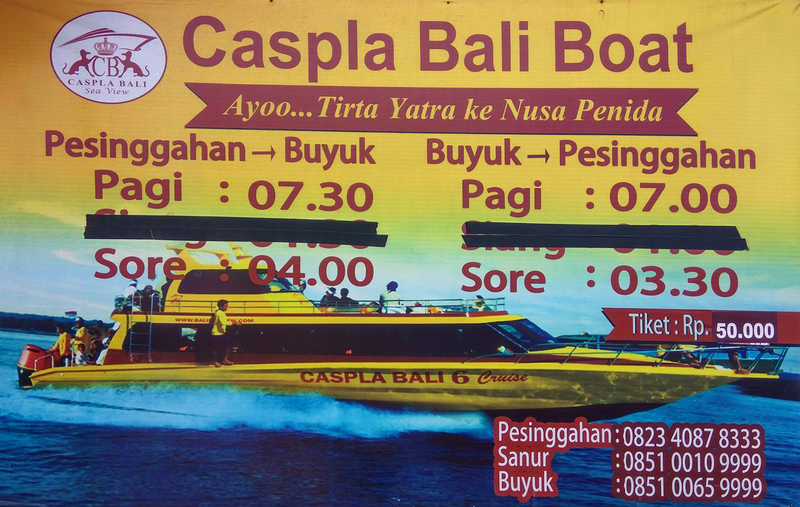 You can take speedboat "Sekar Jaya"
Departure from Bali at 06:30, 07:30, 11:00, 12:25, 16:00. Departure from Nusa Penida at 07:00, 08:00, 11:45, 13:40, 15:30. And in 15-20 min you will arrive to Sampalan village. This is a neighboring village near "Kusamba"
Speed boat "Caspla bali boat"
It is located near the temple of bats "Goa Lawah". Departure from Bali at 7:30 and 16:00. 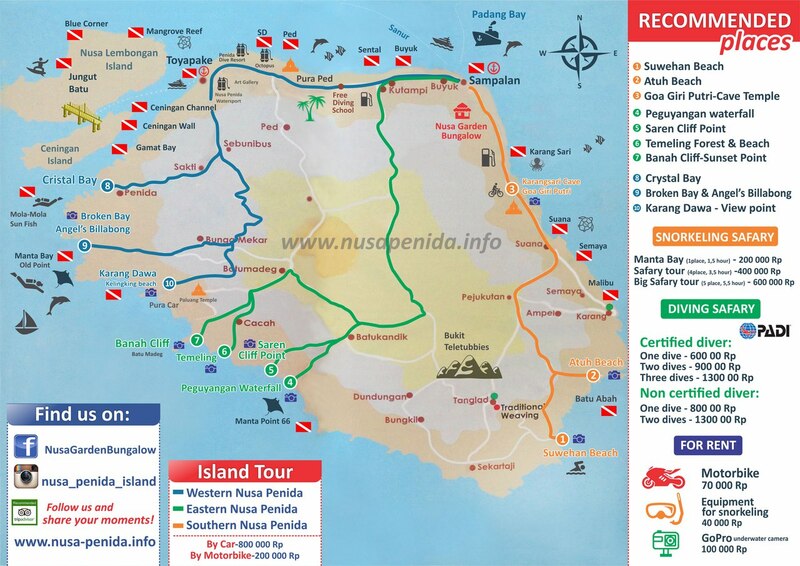 How to get to Nusa Penida from Nusa Lembongan. 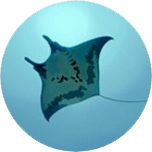 It departs from Nusa Lembongan every day at 6:00am. 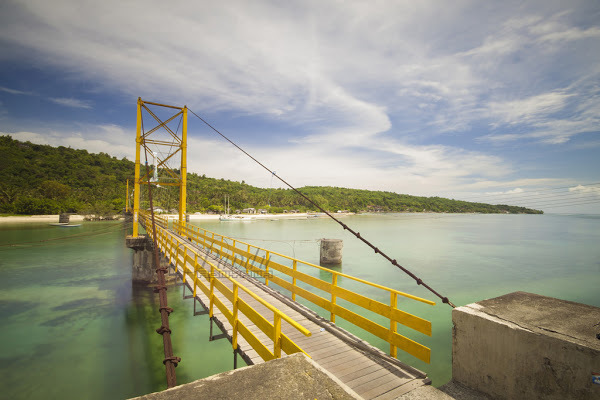 The departure is from the village jungut Batu near the yellow bridge connecting Nusa Lembongan and Nusa Ceningan. You can also use private boats. 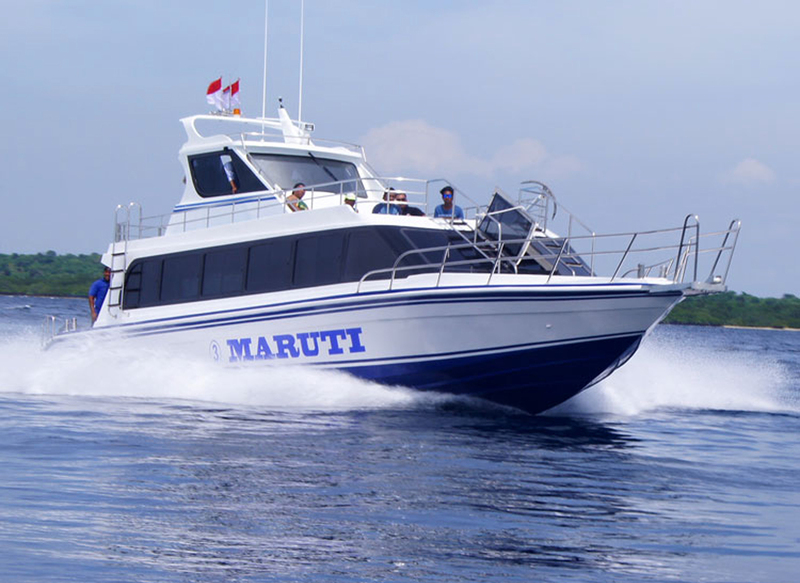 Price for private boats is around 250 000 – 400 000 IDR. 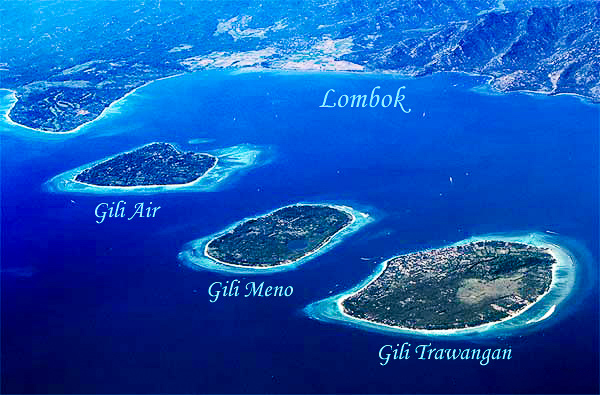 From Gili Islands you can get to Nusa Penida using speedboats and a ferryboat which departs from Padang Bay. 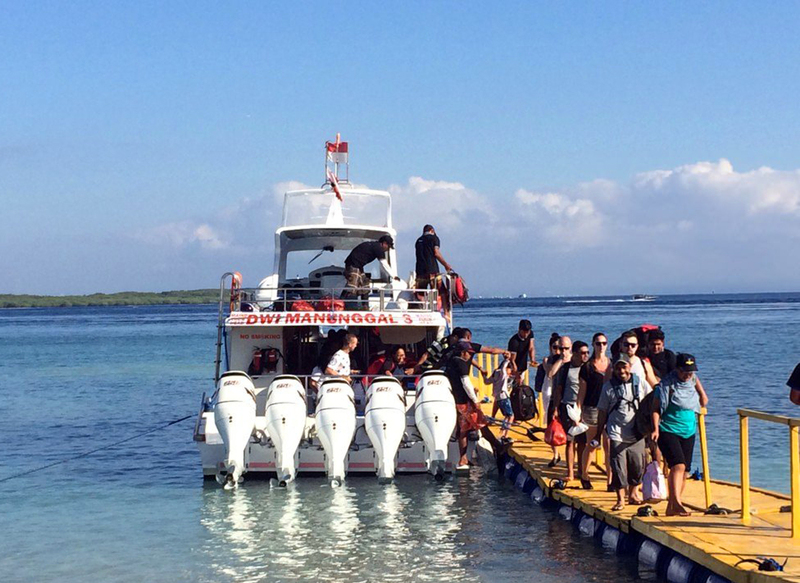 Speedboats from Gili to Bali depart every hour. And you already know how to get to Nusa Penida from Padang Bay. If this time doesn’t suit you, use private boats. The price ranges from 250 000 - 400 000 IDR per boat. 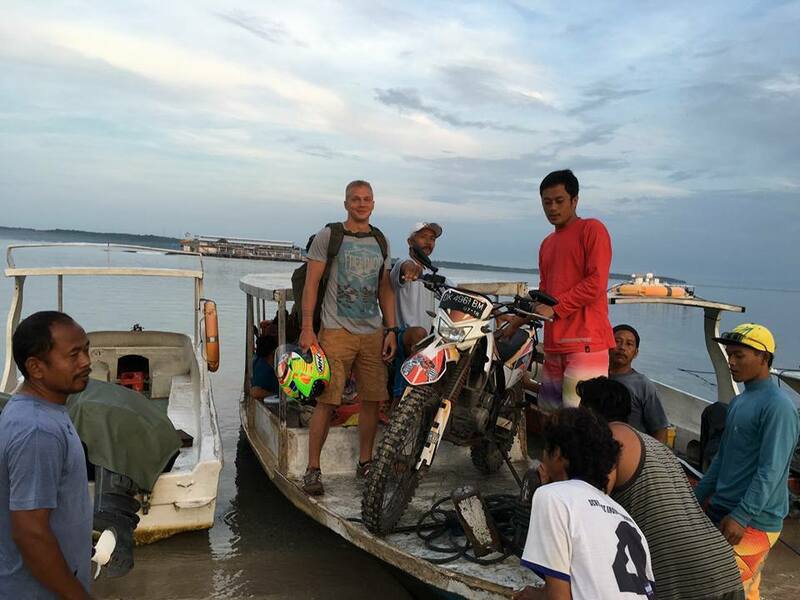 Private boats allow to take a motorbike with you but the price will change.